Rapunzel had a horrific chest injury that you could fit your fist inside, it was so deep. It was the middle of winter with mud everywhere and she needed antibiotics. This video below shows you the Keys to Success in fixing a needle shy horse who is afraid of having an injection. Giving a needle should be a quiet process, filled with trust from the horse and confidence from the person giving the needle. The first needle of this antibiotic course she had been freaked out and jumping around and had the needle bent in her neck. Use the Feel that you start exploring in the Fourth Key to Happiness with Your Horse (of The 9 Keys to Happiness with Your Horse), to know when it’s time to actually give the injection and in the case of new people doing simulations, when it’s time to stop simulating and do the real thing with confidence. I am not teaching you the where and what to do about giving an injection – that’s deliberately missing because it’s for the vet to teach you. 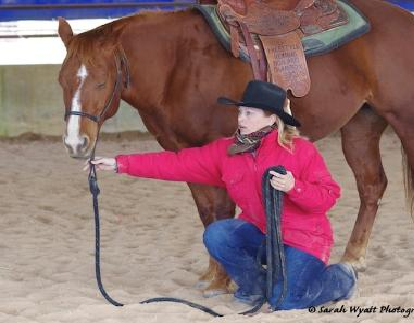 The Keys to Success in fixing a needle shy horse are the same keys to Success for teaching them in the first place – the needle shy horse may or may not just take longer to relax. And I suggest that you don’t stick a needle into a horse who isn’t OK with it – that’s how Rapunzel got that needle painfully bent in her neck. You’ll see what I mean in the following video, which is Day 3 of the re-training. Day 3 and Day 1 looked very much the same in the quietness of the process. I have also talked more about the Keys to Success below the video. 1. Having a good communication happening with your horse already. This made a BIG difference to be able to be very sure when she was ready and when she was not. See the FREE lessons The 9 Keys to Happiness with Your Horse for getting a solid start on those communication techniques. 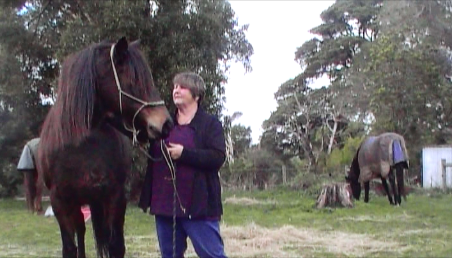 I like to hold the horse myself and NEVER NEVER NEVER tie a horse up for an injection. 2. Using the relaxation acupuncture point to relax a horse who is too tense to even start the re-training. I didn’t need to do that in this video because Rapunzel was already starting to develop some confidence on the procedure. So email me if you need access to that video. 3. If you ever have to give an injection for the first time, then practice in simulation. Don’t make your horse suffer through your practice and have a bad needle. Practice without the needle – you can even practice with an empty syringe with your horse – until YOU are confident with the procedure. 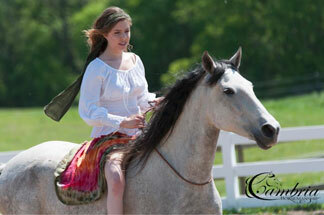 Then your horse can develop some confidence with your confidence – at least you won’t be escalating them into fear and anxiety. 4. Antibiotics and penicillin and many other medicines need refrigeration and yet injecting cold from the fridge is painful for both human and horse and completely unnecessary. It is a MAJOR Key to Success to warm up the contents of the syringe to blood temperature before giving it to the horse. I choose to warm it up under my armpit, which takes quite a few minutes – maybe ten. Put the needle part on later. If that makes you feel uncomfortable then don’t do it – find another way to warm it up but for goodness sake don’t make it too hot either! 5. Numbing the needle site and waiting, waiting and more waiting until she was relaxed and said “Yes, you can do it now”. 6. Putting the needle in first separately from the syringe and holding it firmly between finger and thumb, firstly to put the syringe part on and then to hold the needle still. 7. And bracing the arm that was holding the needle still, against her neck. 8. Make keeping the needle still a higher priority than keeping the horse still – she was allowed to drift if she wanted to and because I had my fingers and thumb and arm braced against her, the needle didn’t move at all as she moved a little. In fact you’ll notice that she stopped moving even while I was still injecting. 9. 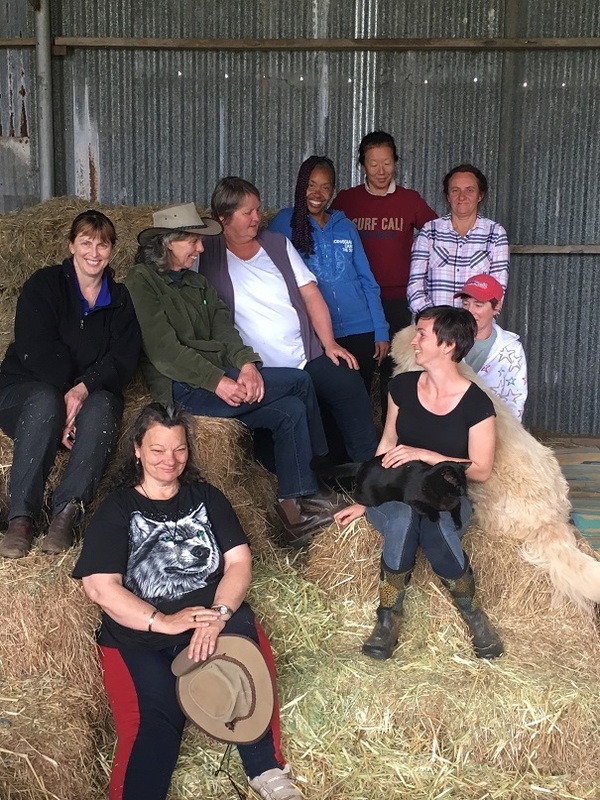 Appreciation, appreciation and more appreciation – actually FEEL inside yourself for the warmth and feel good feelings of a job well trained for and a job well done by both horse and person! I blog and do videos like this, to spread a more gentle alternative to the unpleasant “bang and crash and force a horse to do something” techniques that we see so much of everywhere. Our approach here has a strong focus on both the horse AND the rider feeling good – happiness and well being of both horse AND rider. If you haven’t seen them yet, the foundation to this gentle approach to horsemanship can be found in the FREE lessons The 9 Keys to Happiness with Your Horse here. Whether it’s helping a needle shy horse or fixing an old saddling problem or “just” 🙂 a desire to be a brilliant rider – it’s your Feel and Timing that will make this kind of work as smooth and easy as it was for me with Rapunzel – and our program Fast Track to Brilliant Riding will lead you step by step to those skills. Fast Track is a unique blend of developing a deeper connection to our horse, horsemanship and healing for the mind, body and spirit of both horse and rider. The unique Release Re-Learn and Re-Program formula for getting rid of trauma and resistance is only a small part of this extensive program that has been getting rave reviews from advanced and novice horse people alike for 7 years now. Super video.So helpful for We people who do not like hurting our horses and are a little tense ourselves. That tension in ourselves is a big deal hey Francis, since those darned horses know everything that we’re feeling!